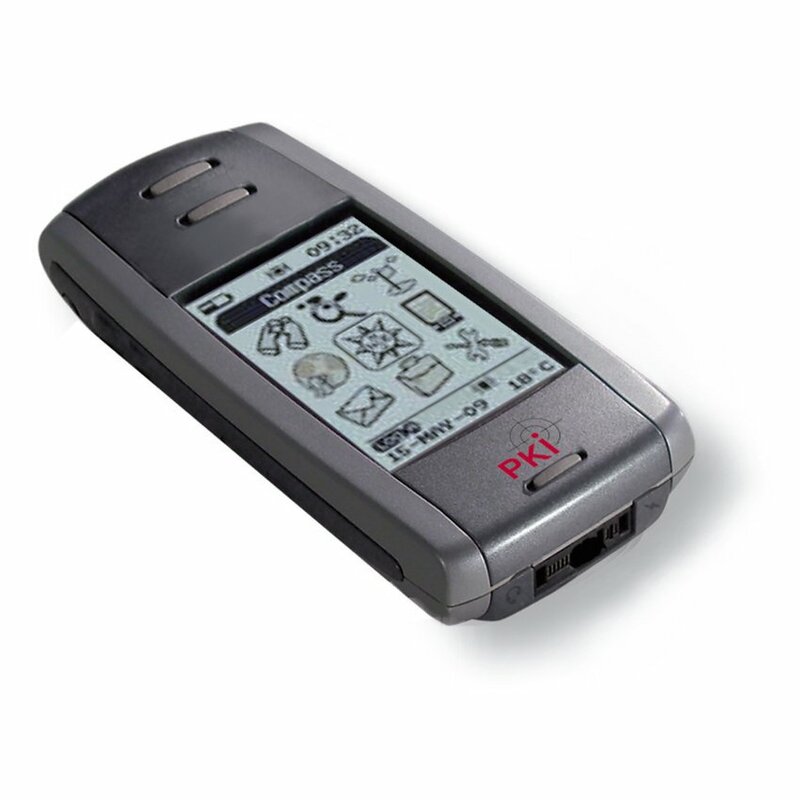 The PKI 1880 is a supplementary device for microphones, which allows the user to obtain an overview about the place of action of the team. After connection of the PKI 1880 to the microphone jack of a radio device or walkie-talkie it automatically transmits its position data and messages to the conversation partners. The large display shows the position of the team members in relation to your own position. All devices work together on a peer-to-peer basis, without using a server. This allows the use of GPS microphones even in remote areas or at disaster operations. It is of course possible to additionally include a control center, in order to show the positions of the team members on a digital map. This gives the operation controller an up-to-date overview about the entire course of action. It is possible as well to send short text messages to the team members. The PKI 1880 GPS microphone is powered by its own rechargeable Lithium battery, so it does not affect the standby time of the radio device. Up to 20 hours operating time with only one battery charge. Display with a resolution of 120 x 160 and background lighting. Indication of position, heigth, speed, direction and temperature. Stores and transmits waypoints to single users or groups. Stores up to 50000 positions. Shows the own position in relation to other users. Calculates the arrival time based on distance and speed. The PKI 1880 GPS microphone can be used with nearly every radio infrastructure without any problem and can be connected with adapter to any radio device.